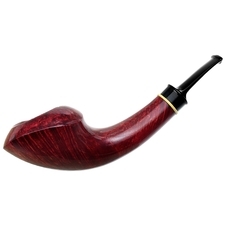 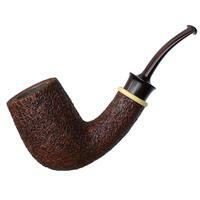 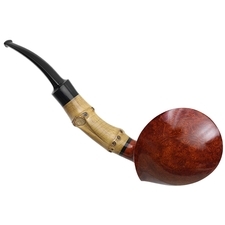 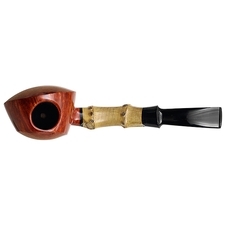 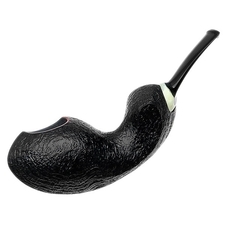 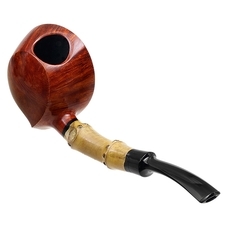 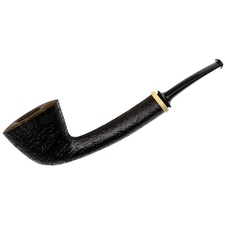 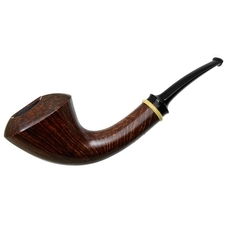 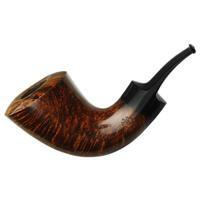 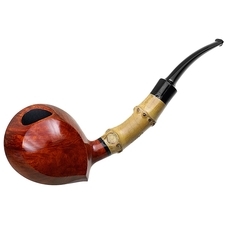 A lot of artisans incorporate a teardrop theme into their Blowfish renditions, but most of the time, it appears in the shank's cross-section, realized by a smooth, Ivarsson-esque ridge flowing from shank end well into the fore of the bowl. 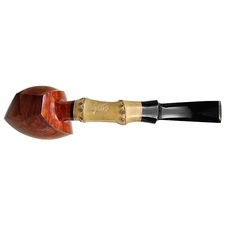 Steve's own Blowfish interpretation takes a much more evocative approach, following the Japanese school's more organic, asymmetrical style but adding his own spin to the convex panels lent to either cheek. 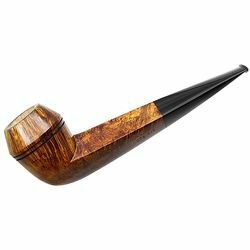 Rather than shaping them into pronounced disks, Steve tapers the defining lines into a sharp spur just under the transition to form a teardrop shape. 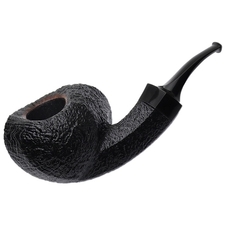 With its slight forward-canted orientation, it keeps to a nice, comfortable feel in hand, while still being quite complex in overall style. 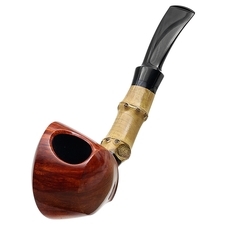 In this particular piece, he's paired the evocative stummel up to a two-knuckle bamboo extension, further emphasizing that aforementioned Japanese-esque organic approach. 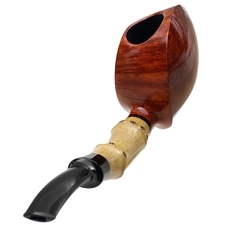 Bowl Height: 2.28 in./57.91 mm.